Today is the first installment of a new, recurring feature on FCN where I’ll be highlighting various credit card offers and possibly other financial products (high interest savings accounts, high CD rates, etc.). These posts will go live on Saturday mornings in addition to all the weekday content that we provide. 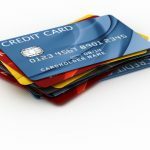 As you’re likely aware, the credit card landscape tightened up during the recent economic crisis, and many of the best offers disappeared. In recent months, some fairly attractive offers have popped back up however. I’m going to kick off this series by looking at a pair of reward credit cards from Pentagon Federal Credit Union (a.k.a., PenFed). I’ve talked about PenFed in the past in the context of their competitive CD rates as well as their mortgage refinance business. For starters, we need to talk about PenFed… Pentagon Federal is a credit union that serves members of the armed forces, defense-related companies, the VFW, and the American Red Cross. As it turns out, however, anyone can join. Membership privileges are actually extended to immediate family members and housemates of individuals in qualifying groups, and if you still don’t qualify, you can simply join the National Military Family Association (NMFA) for $20. There’s no need to maintain the NMFA membership in the future to remain a part of PenFed. Note: as reader “RS” points out in the comments, PenFed requires you to open a Regular Share Account and maintain a minimum $5 balance maintained in order to remain a member (this is in addition to the $20 NMFA membership). You can fund the $5 via EFT, credit card, or check (with the check option allowing you to receive your account opening materials). Details on all of this are available from the membership section of the PenFed website, or via links from their best credit card applications. When we joined, we did it as members of the NMFA — which we joined for the sole purpose of gaining access to PenFed and their products. An important note to keep in mind, membership to PenFed credit union does not guarantee you will be approved for one of their credit cards, you will need excellent credit along with meeting any other credit requirements they have as part of their credit card application process. The PenFed Premium Travel Rewards American Express Card was highlighted as one of the best credit cards of 2009 by CardRatings.com. This card features 5 points per dollar spent on airfare, 1 point per dollar on all other purchases, and no foreign transaction fee. You also get two complimentary Lounge Club visits at airports around the world upon spending $15, 000 on the Card in a calendar year. 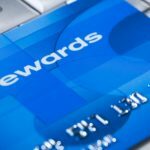 Ability to redeem points for a range of rich rewards, including travel, brand-named merchandise, and gift cards through PenFed Premium Rewards. And if you spend $2, 500 in the first three months of opening the card, you can get 20, 000 bonus points. There is no annual fee and no foreign transaction fee on this card. The PenFed Platinum Cash Rewards Visa Card is a great all around cash back credit card. The Plus version of this card features a 5% cash back on gas purchases paid for at the pump. To get the Plus version of the card you must obtain a qualifying PenFed product* such as an active checking account with direct deposit ($250 min). The Standard version of this card offers 3 percent cash back on gas purchases paid at the pump and an introductory annual fee of $0, then a $25 annual fee. Fuel purchases for airplanes and boats are not eligible for cash back rewards with this offer. Cash Rewards are credited each month. As with any credit card offer we recommend you contact the issuer or check their online disclosure for account terms and conditions and other related information before you apply. I’ve heard from a number of readers that this is their favorite “general rewards” card. The PenFed Promise Visa Card was featured by the New York Times Bucks Blog as “a decent product for those in debt.” This card features an introductory purchase APR of 7.49% which lasts for a full 36 months; after that the purchase APR varies with the market based on the Prime Rate and currently jumps to Prime plus 6.74% today that would be 9.99% – which is far below current average credit card rates. No late fee!! But, you don’t have free ability to blow off your bill – if you are late enough PenFed will send out a warning and then cut you off if you don’t pay promptly. There are no rewards associated with the card, and while there isn’t an annual fee, you may have to pay a one-time membership fee to an eligible organization to join the credit union. As noted above, if you’re not a member of the US armed forces and you don’t meet the other requirements for free membership to PenFed, you can pay a low fee to become a member of the National Military Family Association to become eligible to join PenFed. I have a mid-700 score and I had and instant decline for the USED auto loan. I’m not significantly leveraged – may be 30 %, but an auto loan, where your car serves as a collateral, should have been approved. I think any other bank of CU would approve me – very strange. The other thing – I have a lot of dormant credit card accounts with no balance on them, and the average age or them is ~ 3 years. Any ideas what could have caused instant decline? Approved folks – did you have any checking accounts, or any other accounts besides regular share opened with them before applying for a credit card? I love Penfed. They take care of you on a personal level. I have used all the cards. When I went off island, they called me to verify that I had made a transaction purchase of over $1,000 in which I did, and I was thankful that they notified me. I also had also encountered a fraudulent charge on my account of about $600 and they were very accommodating and took care of it right away, credited my account 2days later. They also approved me a 30K personal loan as I was still talking to customer service at that instant. Ofcourse they will not always approve you but as long as you have good credit as with all banking agencies, why not. Thanks penfed for your quality and exceptional service. Effective 2-1-2012, this card’s cash back is drastically reduced. Still get 5% for gas but all else is down to 0.25% Will now be my “gas-only” card. Any suggestions on a better cash back rewards card? I also find their site being extremely inconvenient to use. “In you find a better card, take it” – easy. They have some strange lending criteria at PenFed. I joined and refinanced my car at 2.49% (which is great). Every time I called they tried to sell me a credit card. I eventually applied for their gas rewards card. I have a decent credit score (low to mid 700s) and have NEVER been late on any bill. I do have student loans and a mortgage and for some reason they decided my DTI was too high to issue a credit card (of any limit) but they didn’t blink when I applied for the (used)car loan. Strange stuff. I am recent member of PenFed and my experience has been nothing short of excellent. The products are great along with professional,knowledgeable customer reps. The nominal fees for opening are miniscual compared to the money you will save with their lower APRs especially if you tend to carry a balance. The application process for credit card very easy with instant approval and quite a handsome credit limit (Platinum Visa Rewards). You also have the option to divide your large credit limit between other cc products w/o having to submit applications for each one. So I had option of designating some of my 25k C.L. to a Penfed Promise Card and American Express. Now that is GREAT (additional cards w/no Credit report hard inquiries)!! Great Credit union. Also check out their great rates for auto loans too. I am very happy to be a member! @Don…not a scam, I just sign up with NMFA for $20 and then started a $5 accoutn with PenFed and applied for the card…was approved instantly and offered a credit line twice the size of any of my other cards. We had a high interest rate credit card with Wells Fargo — one of the most horrify companies to do business with and should be avoided at all costs. PenFed had a 7.99% unsecured personal loan. I opened an account for $25. The loan application process took all of 4 hours. I had a deposit of $9000 in my account within a day. That $25 saved me thousands in interest since my Wells Fargo card as at 17% APR. It’s worth considering. We had looked at Lending Club, but with all the fees and such this was way cheaper. @Don – No credit union is going to process an application for you if you are not a member. Like “almost there” pointed out, you had to pay $20 to join NMFA so that you could be eligible for membership. All credit unions have membership guidelines, this one happens to be military related. I’m not sure what your credit report looks like, but my score is in the mid-700s as well and I was approved for a $30k Visa. Don, not a scam. You had to pay the 20 bucks to be ellibible for membership with PFCU since that is the only way a non military can join. The 5 bucks is a share purchace to belong to the credit union. All credit unions require buying a share to join. It is yours if you quit. I realize you are frusterated by not getting the CC but look at the low rates on loans and their savings rates and compare to a local bank or CU. I think Penfed has them beat. SCAM…. I have to tell you that I think that this is a scam. 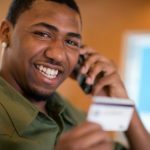 In order to even submit your information to be considered for a card, you have to become a member (non refundable $20) AND you have to deposit a minimum of $5 in the account….THEN you give them the information to be considered. I went through the process on egg shells and in the end, no approval for the card, and Im out $20. The purpose was to take advantage of the balance transfer offer, and although my FICO score is moderate, (mid 700’s) I was denied. In the future, any card or credit union that won’t consider processing an application BEFORE you hand over the cash, I’d turn it down. PenFed is not the answer. @rs Your correct. I had to open a regular share account to. Both our grandparents were retired military and if you had a family member (that you know of) in the military then it seemed like you would qualify without the NMFA membership (though that’s a great thing to support). After we applied, we still had to go in and separately apply for the credit card. I too was confused at first. The first signup process was purely to get you “in to the bank and a regular share account”. From there click on products and rates and the credit card. Then you will walkthrough that process. After we completed it we ended up calling them to get our pin (otherwise they’ll send it to you within 2 weeks) but we wanted to expedite the process. Let me know if you have any questions along the way. P.S. They do counteroffer on your credit limit if you request too much so they won’t just deny you credit, they’ll counter. I am attempting to apply right now and it’s worthwhile to note that it looks like PenFed requires you to open a “Regular Share Account” in order to become a member. To remain a member, a balance of $5 must be maintained. While this is nominal, it is in addition to getting the one time NMFA membership for $20. They give you the option to fund this by EFT, credit card, or check. The check option allows you to receive your account opening materials. This is the option I have selected. You know, I would love to switch to this (or something like this). The problem is that I’m unemployed. I’m actually NOT having financial problems, as I had and have a lot of savings, but no one will give me credit because I don’t have a real job and my only income is a little bit of freelancing. It’s bizarre that I can’t afford to switch to cheaper things — cheaper credit cards, even a cheaper car. So I guess what I’m asking is, how strict are these guys about who they approve for a credit card? Since you have to join the thing first before you even know if you can get the card I’m hesitant to do it. It’s really simple (PenFed at groceries and non-costco gas) and we just set this up about a month ago. Hasn’t been a problem and the extra rebate is credited monthly so we essentially are earning a higher effective rebate amount than the Costco AmEx which is credited annually. Love the bank and their customer service is excellent! Highly recommend! Great for banking but… don’t use their mortgage service. We had a horrible experience there and ended up withdrawing our application after 3 months of battling. That’s our card. They used to offer no balance transfer fees but are now in line with other credit unions. As the third largest CU they aren’t going away soon. We’ve had the easiest online loans from them.